Her married name became Crichton. After her marriage, Selina Griselda Beresford was styled as Countess Erne of Crom Castle on 10 June 1842. From before 1924, her married name became Monckton.1 From 30 April 1924, her married name became Ward. 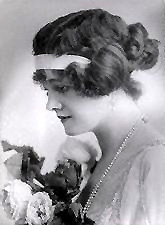 After her marriage, Gertrude Millar was styled as Countess of Dudley on 30 April 1924. Sir John de Sutton was the son of Sir Edmund Sutton and Joyce Tiptoft.1 He married Margaret Charoll.